French is an evolving language. On top of the “parler d’jeunes” (generation Y new slang), the verlan, and the traditional slang, you are going to encounter many grammatical constructions and glidings that are quite far from your textbook French: welcome to the world of modern spoken French! With all these evolutions of the French language, understanding the French when they speak can be quite a challenge. Actually, the modern French language you’ll hear in France is likely to sound like a totally different language from the one you learned in school. But don’t despair! There are ways to conquer the modern French language: follow my tips. You cannot learn a living language only with books, especially French. I often say that French consists of 2 languages: written French and spoken French. All my French audiobooks are recorded using modern glidings, middle ground… so not “too” street French, just the way an educated modern French person would speak. 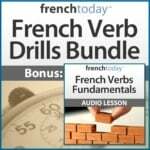 Whether you use my French audiobooks or other audio sources that are current and feature modern French, learning French with audio is absolutely essential if you want to understand real French people. Trying to understand a French movie for a beginner or an intermediate student is like choosing Mount Everest for your first hike. Building confidence in your ability to understand/speak a language is as important as mastering its grammar and vocabulary. Pick some level-adapted audio material: the Web, YouTube, podcasts… The world is full of great resources created specially for students of French. That being said, watch as many French movies as you’d like, but as a pastime– not as a learning tool. You may even get a few words and expressions from them. You may enjoy my posts on “10 easy to understand French movies” and “How to improve your French with movies“. Did you know there are 3 different ways of asking the same question in French? Street/Informal French: “Tu aimes Paris?” (which will sound like “tem Pari” in modern glided French). The street French way is seldom explained in traditional classes or study guides. Unfortunately, it’s the most commonly used form. Understanding questions fast is the key to any conversation, and I wrote a whole audio lesson about it to help you master French questions. Again, our generation is not quite used to working with audio – yet. We are still in the passive learning approach: a book teaches us and we write the answers to exercises. This is wrong if you want to learn to speak a language. You need to change your habits. Listen to the lesson, then repeat out loud. Again, again and again. Repetition is the key to creating “reflexes;” this goes for French grammar (check out my French verb drills) as much as for word genders and modern French pronunciation. Read this blog post to find my step by step guide to better your French speaking abilities: “The best way to learn French for speaking“. Now, quickly, what is your goal? If your answer is “2 hours” and “I want to be fluent by the end of the year,” you have a problem. Unless you are a language genius, learning a language is not going to be like second nature. It takes some hard work. The first thing to do is to set up short-term, realistic goals. Next, you should create a solid study plan and get help (self-learning material or classes – read my article on how to pick the best French learning method and avoid scams). You want to be fluent really fast? Get in a French immersion program – in my opinion, it’s the fastest way, even if it’s a bit expensive. 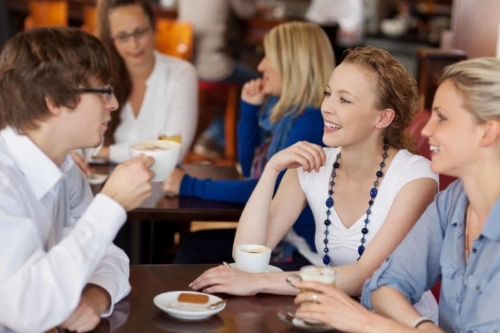 If you are a beginner and study 2 hours per week, you should be happy if by the end of the year you can handle a simple conversation, be polite, and get 20% of what French people say around you. Accept that you will get what you invest. It’s true for life, and it’s true for French.